As last month click on the pic above to go and see all the pics at Kathy’s blog. This is a bit last-minute to say the least! I have been so busy this week I nearly didn’t get chance to take the last couple of pics I needed for this but have just made it. 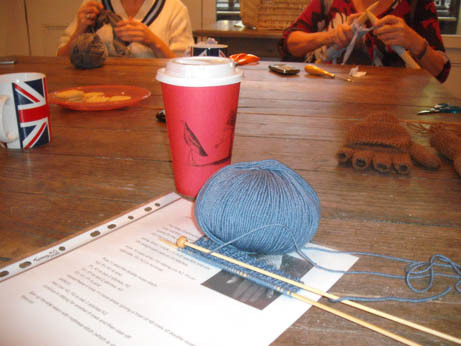 This was taken at our last WI Saturday craft get together – coffee and a bit of knitting! Just what you need after a hard week at work. Check out those super sized needles in the background. My lovely little teapot and cup. 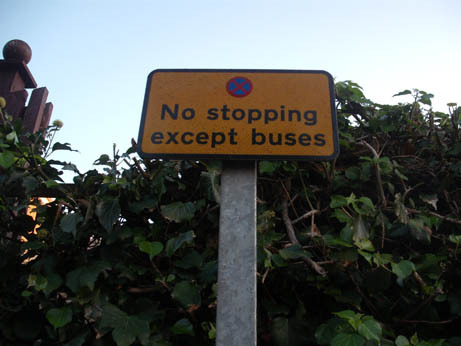 Where I catch my bus to work – next to a lovely ivy hedge. 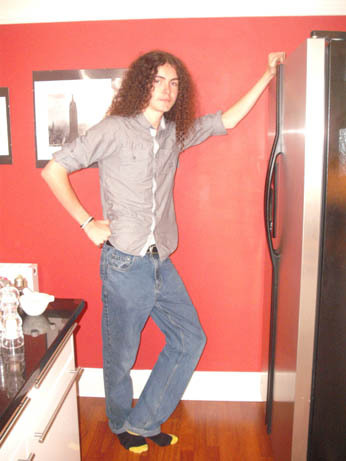 As he reminds me often, my little baby Jake is taller than me now – he is also taller than the fridge! 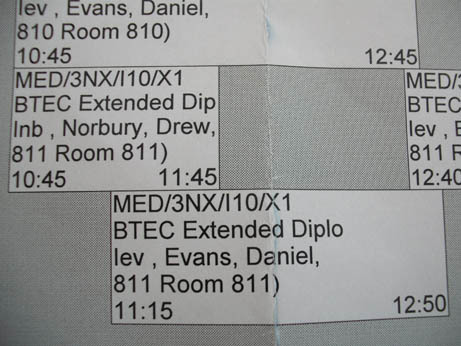 Well college anyway – I don’t have the joy of buying new uniform and pencil cases anymore but here is Jake’s new timetable for his last year before University. 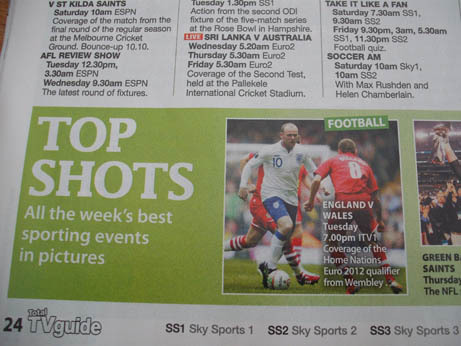 I’m afraid this is as close as I get (inspiration for this taken from someone last month) – the football listing in the TV mag. Every year we pick the blackberries from the lane at the back of our house. 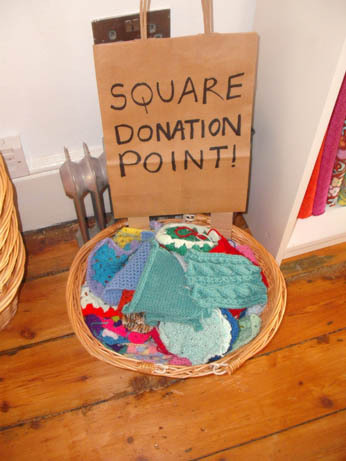 Donated knitted squares at my lovely friend Lydia’s yarn shop Spun. 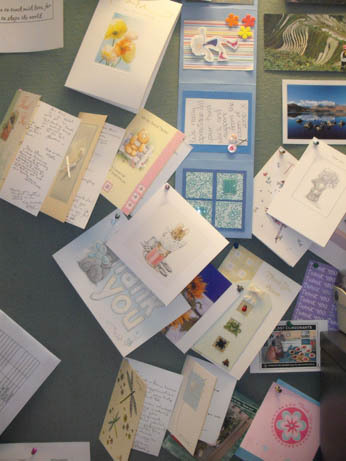 The best bit of my desk at work – thank you cards from past students. 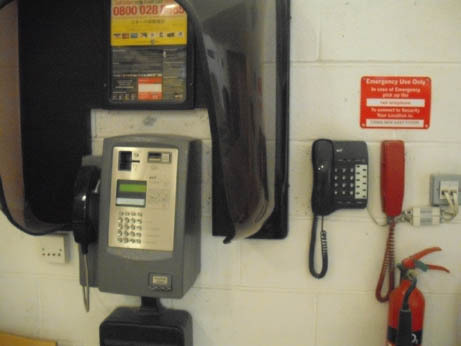 Apologies as it was a bit dark – this is the phone in the lobby at work – love the fact that there are 3 phones in a row here! 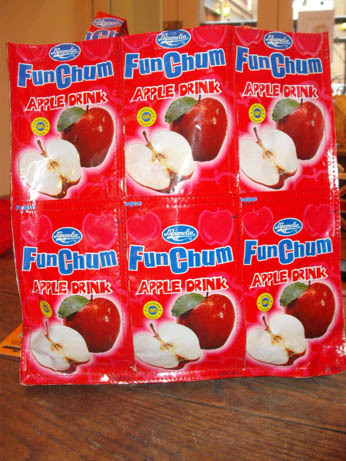 My friend Rebecca from knitting group has this lovely bag made from apple drink pouches. Great shots! I’m learning how to knit, myself! 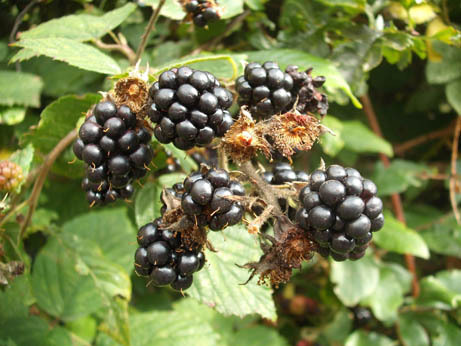 Send me some fresh blackberries? 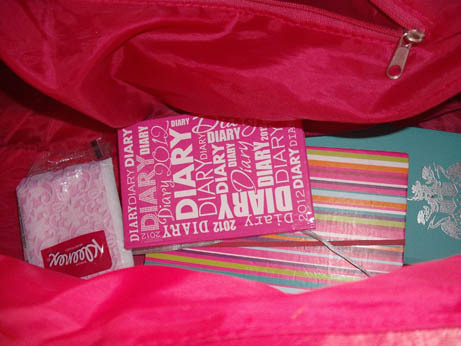 Very clever bag! You have some great entries here. I didn’t manage a telephone box at all…couldn’t find one. Love the “relaxation” entry…and those are some needles the lady across the table was using!! Interesting photos you have there… and I love the little background that goes with them. Makes it all more interesting. Lovely teapot! Great harvest photo. 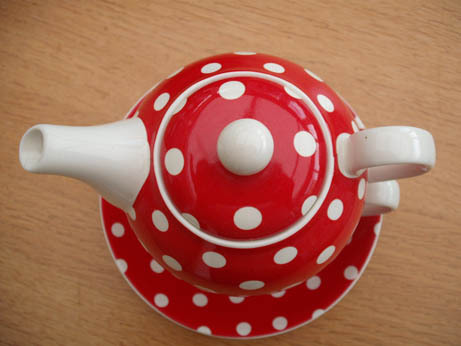 I love your teapot photo! My son is also taller than me and he’s only just turned 12! Thank you very much everyone. I have taken a pic of the teapot before but not from that angle and I am vey pleased with the way the blackberries pic turned out. Great shots this time — I love how you used your son for something taller than you! I’m having a hard time with some of them, so I’m Late!